The following will be on the Selectboard Agenda on Tuesday, April 9th at 6:00 PM. To see if the Wellfleet SelectBoard will change the name of the Wellfleet Energy Committee to the Wellfleet Energy and Climate Action Committee, increase the committee membership to seven (7) members and two (2) alternates, and modify its charge as shown below (deleted language appears as strikethrough, added language appears as boldface),. • Establishment of energy and emissions inventories for the Town and the setting of goals for energy and emissions reductions. • Assessment of the scope for energy conservation and for renewable energy use in Town buildings and by Town transport. • Recommendation of feasible projects for energy conservation and for renewable energy use. • Formulate and advance mitigation and adaptation strategies as outlined in the 2018 Wellfleet Comprehensive Plan Section 10 on Climate Change Mitigation and Adaptation Strategies. • Educate and engage residents and businesses on expected climate change hazards and impacts and mitigation opportunities. g) Planning Board in assessing the efficacy of Town by-laws. The Committee will also seek the cooperation and assistance of relevant governmental agencies, non-profit organizations, businesses and the public. Beware of aggressive marketing and “slamming,” in which customers have electricity providers switched without their permission. You may be getting phone calls about solar energy or saving on your electric bill. If customers agree to switch, their new supplier will notify their utility. After receiving a letter confirming details of their power supply contract, consumers have three days to change their mind, with no strings attached, under state regulations. Still, regulators say residents should look for details that telemarketers and sales staff may not disclose. Depending when it switches to a competitive supplier, a household may get hit with additional charges from their utility. Some contracts from competitive suppliers include additional monthly charges or hefty early-termination fees. For some households, price is not the reason for switching. Some environmentally conscious customers choose to buy power from renewable sources, such as wind and solar, at a cost above the typical household’s energy bill. Have you been told you qualify for a 15 to 20 percent discount on your utility bill if you’ll provide your customer account number? Before accepting the offer, know that the likely switch will simply take you to a different energy supplier. Beware. Some suppliers employ telemarketers that recruit new customers with promises of lower rates for switching. But after a brief introductory period, rates may suddenly skyrocket — and you find yourself locked in a long-term contract with high cancellation fees. In some instances, you may be asked only for your name, address and utility account number — not a credit card. But with that information in hand, the new supplier can switch your power service provider, either with your blessing or by “slamming,” the illegal practice of switching customers to another provider without their consent. Your best bet: If you’re interested in switching energy suppliers, avoid unsolicited offers and instead compare your options at http://web1.env.state.ma.us/DPU/FileRoom/Licenses, our state’s website listing power providers. To avoid getting slammed (your utility service changed without your permission) or being over-charged by a company practicing deceptive marketing, the Massachusetts Attorney General’s Office advises consumers to check your monthly utility bills to make sure that your service has not be switched to a different provider without your consent, and protect your sensitive information by only sharing your utility bills after you have decided to do business with a provider. 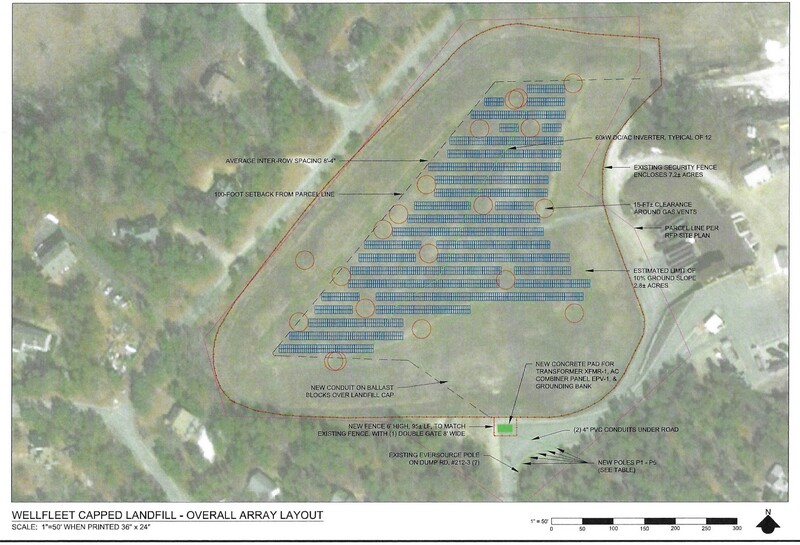 The Energy Committee and Ameresco have been moving forward with the solar PV array. The Select Board voted unanimously to approve the project and voted to hold a Special Town Meeting to approve three articles relating to the lease, a power purchase agreement, and a power purchase agreement. They also voted to grant Ameresco access to the site until the lease is finalized. On June 28, 2018, Ameresco submitted a Site Use Permit Application under the joining bylaw passed as part of the Green Communities Act for an expedited approval process for solar PV projects. The Finance and Energy committees voted unanimously to recommend the three town meeting articles. Town Meeting voted to approve all of the three articles. Two of the votes were unanimous, one had a single nay vote. The town submitted a post closer permit application provided by Ameresco. This extensive application of over one hundred pages, details how the landfill will be protected during construction and operation of the solar array. The Department of Environmental Resources after a two-month review by technical experts has approved a Post Closure Permit for the project at the capped landfill. Eversource, after a two-month review, has approved the interconnection of the proposed array to the electric grid. The planning board has yet to hold a meeting on the merits of the Site Plan Review Application.